We’ll explain clearly by a video footage about the system to protect limited water and resources “Clean Recycling System” and “Pure Water System” of NIPPON DENKO. The browser that supported video tag is necessary to play an animation. Nippon Denko’s chromic acid recovery system has been developed by mobilizing the company’s advanced technologies for the production of industrial chemicals and by conducting extensive research. This system enjoys a high reputation among related industries. This system is designed for fractional recovery of chromic acid using only compact, portable ion-exchange resin towers (ND MINICHROPACK). The regeneration of saturated resin and the effective utilization of recovered chromic acid are carried out in this system. This system is receiving high acclaim from many users, such as plating plants, for its ease of operation and control, compact dimensions, and because it does not cause environmental pollution. Nippon Denko’s boron recovery system has been developed using our own extensively developed chromic acid recovery system technologies. This system is designed to absorb and to eliminate the boron contained in wastewater by means of an ion-exchange resin system(B-CLEPACK), so consumers need not care about the task of after-treatment of this waste-water. The absorbed boron is collected from customers and reused in our plants as a raw material. NI-PACK is an ion-exchange tower developed to recover nickel from nickel-containing drainage. Nickel recovered by ion-exchange resin is extracted at the recycling plant and reused as a raw material for nickel alloys. To meet the need in fields where highly demineralized water is required for surface treatment, cleaning, etc., Nippon Denko has commercialized a cartridge demineralizer named AQUA PACK, which can change tap water into highly demineralized water by removing Ca, Mg, SO4, Cl, SiO2, etc. 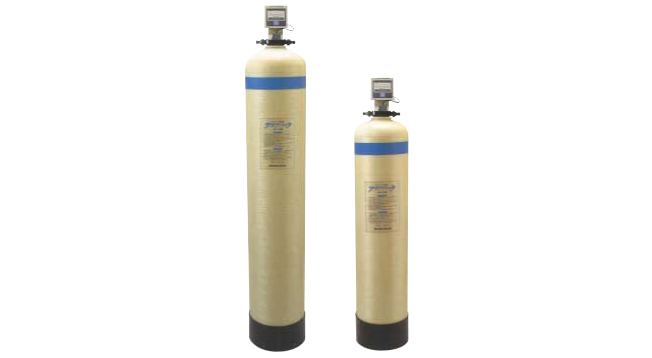 Water of a quality comparable to theoretically pure water can be obtained by using AQUA PACK. 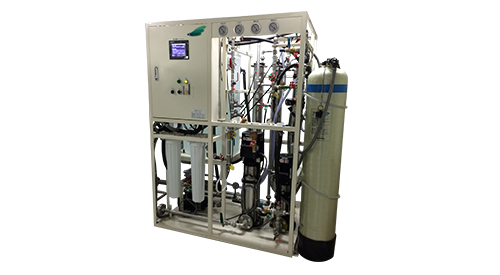 The MR-PACK is an integral pure water production unit that contains reverse osmosis (RO) equipment and an ion-exchange resin tower. With MR-PACK, tap water, well water, or any other raw water is changed easily into highly pure water, which approximates the theoretical level of purity. Efficiently removes organic and inorganic components in water, both soluble and insoluble, including inorganic ions from the water. Requires the minimum installation space and the shortest maintenance routine, as the pretreatment equipment, reverse osmosis (RO) equipment, and ion-exchange tower are all integrated into a single unit body. Allows the user to concentrates on their operation without the need to worry about the inconvenience of regeneration, with the use of the “AQUA PACK” for regeneration on consignment. Water Purification System Marketing Dept. Click here for details of our businesses.